Golf is one of those magical sports that has something for everyone! That must be why it seems like there is a golf course in every Vancouver Island real estate market. Cordova Bay even has a beautiful golf course we would urge anyone to check out if you have not already. And you guessed it, it’s called the Cordova Bay Golf Course. Golf isn’t just about fun afternoons spent driving around on the green, it is so much more. Golf, more so than other sports, is social in nature. The leisurely pace of the sport allows a lot of time to discuss the important things in life. It is a great way to spend time with friends, network with co-workers and professionals, or even just learn more about the sport itself. Golf courses are a great backdrop for weekly meetups with friends, or for an activity all generations can enjoy. Chances are when we start talking about golf courses, especially the golf course in Cordova Bay, you forget about mini golf. Sometimes, taking things a little less seriously and heading out for some putt putt with the kids, or the kids at heart, is a great way to lighten things up. 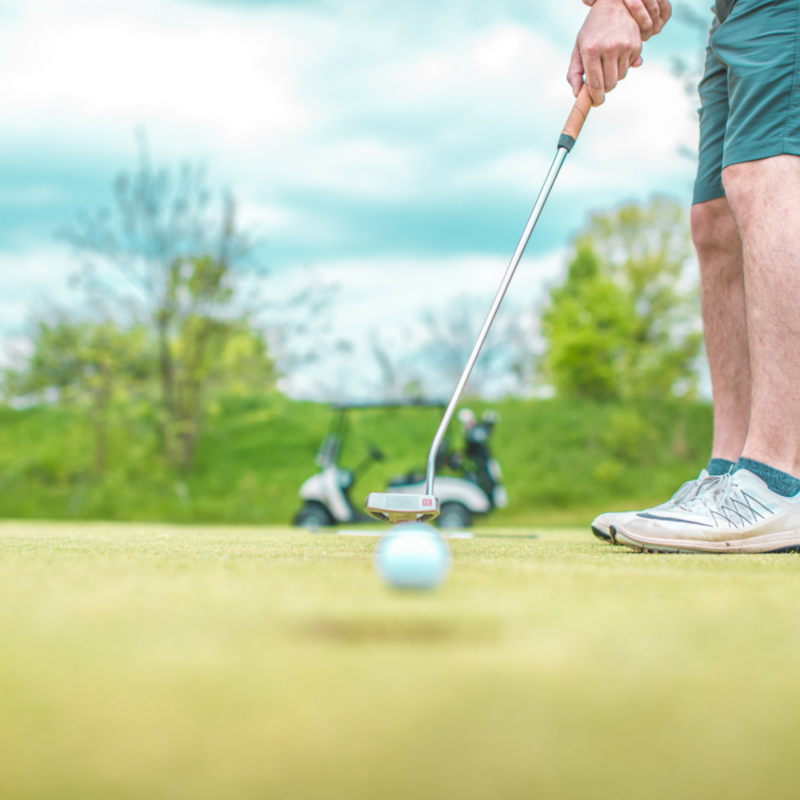 It may not seem like golf would be good for your health, due to the slower pace, but this sport is great for your waistline. Walking instead of using a golf cart is a great way to get in some serious mileage. Even if you do opt for the cart, a golf course is a great way to get out there and improve your physical health. Enjoy some fresh air, stretch your legs, and loosen up with the slight twisting motion of your follow through. Golf Courses are great venues for events. These events can range from private weddings to public fundraisers and tournaments. You can get as involved as you want to with the Cordova Bay community by being a member, or a visitor, to the golf course. Volunteering at events at golf courses is a great way to meet fellow community-minded residents. Even if you choose to attend an event rather than volunteer, events are a great way to meet neighbours and fellow golfing enthusiasts. Who said giving back to the community can’t be fun? Golfing brings in a lot of mental concentration. You have to factor in not only your ability as a golfer but also the weather of the day, the equipment you are using, even the course you are playing on. Golf takes a lot of calculation, awareness, and mental concentration. It is a sport that is great for your mental clarity as well as your emotional and physical health. Unlike some fast-paced sports, the trick to golf is calming your mind and being able to factor all of these moving parts into each shot. The Cordova Bay Golf Course is close to the ocean as well, making the weather and wind a little more unpredictable. With the ocean being close by, however, you are receiving the health benefits of golf as well as the health benefits of the ocean and oceanfront living in Victoria. Sure, you could argue that all soccer pitches or baseball diamonds are different but no one can argue that two golf courses are alike. With the repetitive nature of everyday life sometimes all we need is a new golf course. Even familiar courses change, and become almost unrecognizable, as the seasons shift. The game itself is an evolving process where no two games are alike. We could go on and on about golf and the beautiful golf courses of Vancouver Island. Each neighbourhood seems to have its own golf course, adding to the value of Vancouver Island real estate. These five reasons are just some of the benefits that come with having a golf course in the neighbourhood. Have you set up a tee time with some friends yet this summer?